A book I'd define as surrealist fiction starts out a bit well different. Still the author takes you on a mellow journey that is as deep as I've read so far. 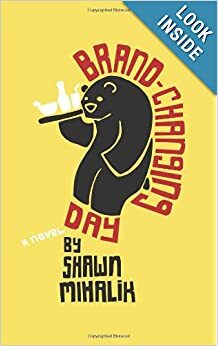 The book follows a restaurant chain that goes on a brand change that somehow deeply effects some interesting characters. Plus how could you not love the cover? I will say this book is for adventurous/non traditional readers only. It at times will make your head spin but at no times is it boring. The book seems targeted at the far out ballers who like interesting books. The plot was good but the true calling card was the amazing character development. At the core of every book is good character development. Some stories focus more on plot but I like how the characters change and mature over time. Plus the cover is amazing. 4/5 A very solid read for the awesome people even though at times it can IMO ramble or show a wall of text which isn't ideal. Still I loved it!